Conference Play has begun in College Hoops and I have been profiting in the College ranks nicely this season. 10* plays are 13-8 (62%) on the season. 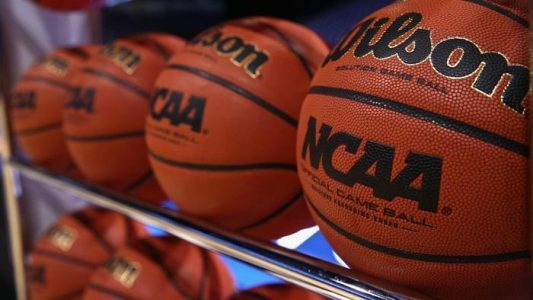 College Basketball is a sport that requires a lot of time and attention to handicap all of the games, but there are ample opportunities to find the proper ‘spots’ and ‘value’ to get involved in. I want to emphasize that just because there are 120 games on a Saturday doesn’t mean you have to play a high volume of games. I am disciplined and only move on a game when my ‘number’ differs from the posted ‘number’ and I feel that I have enough edges on my side to then release that game as a Pick/Play. I want to briefly go over this weekday’s slate of games in College hoops for some possible opportune betting spots. Canisius @ Fairfield—–Canisius has picked up their tempo this year under their new coach. They have competed well on the road vs decent teams this year, but have also given up a lot of points on the road. Canisius had won 6 straight before facing Iona on Sunday. Fairfield is a team that really likes to run also. They played Iona last week in a game that had 81 possessions. There should be plenty of possessions here as well and I will want to take a closer look at the Total here, with a lean to the ‘Over’. Auburn @ Missouri—-Both teams need a win here with Auburn playing Kentucky this weekend and Missouri travelling to Arkansas. After this game, one team will be 0-4 in the SEC. Both teams are very young in this matchup. I have watched Missouri play several games and they have had a lead at halftime their last 2 games, against LSU and Georgia. The Missouri Tigers are getting tired of losing games and this is a game they can win. Auburn is one of the fastest tempo teams in the country, and Missouri likes to run more this year also. Auburn has given up 96, 88, and 80 points to begin conference play. Missouri is not a good shooting team, but they can be average against a bad Auburn defense. They key here is where the oddsmaker sets the total. Another lean to the ‘Over’. Loyola Chicago @ Wichita State—Wichita State has been dominant this year at home, but their opponents have been weak. While the Shockers are a good team, I don’t think they are as good as advertised. I feel the ‘lines’ are starting to get inflated as the oddsmaker is starting to over-correct possibly. Loyola Chicago is a very efficient team when on offense. They don’t take many bad shots nor do they turn the ball over very much. If they can make their 3’s Wednesday night, then they should be able to cover this double digit spread. Another possibility on this game is the ‘Over’. The Shockers are playing a lot faster this year and so is Loyola Chicago and both team’s are efficient on offense. I don’t like to ‘double bet’ a game, but I will give two leans here with Loyola Chicago or the ‘Over’. North Carolina @ Wake Forest—-I want to see what spread the oddsmaker post for this game after North Carolina’s blowout win against N.C. State on Sunday. I favor Wake Forest at home with the points. Wake is much improved this year on offense and defense. This is Danny Manning’s 3rd year at Wake Forest and he has slowed the tempo down a lot this year. Offensively, his team ranks in the Top 30 in adjusted offensive efficiency, 3 point percentage, and free throw percentage. The Tarheels like to run but Wake can run with the Heels if they choose. Led by two super sophomores of Collins and Crawford, the Demon Deacons will be ready here and the student section should be back from Christmas Break, so the environment will be loud and rowdy in Winston Salem on Wednesday Night. The Heels have played two road games in the ACC with a loss at Georgia Tech and a 3 point win in overtime at Clemson. Lean to Wake Forest plus the points. Notre Dame @ Miami Florida—-This could be one of those games where the unranked Hurricanes are a favorite against a ranked Notre Dame team and if that’s the case, I will take a closer look at a very good defensive team in the Hurricanes that play at a very slow tempo and are the more physical team than the Irish. This the first of three consecutive road games for the Irish and they could possible lose all 3. I will lean with the Hurricanes here as they have won both home meetings the last 2 years by 18 and 7 points vs the Irish. Saint Mary’s @ Portland / Loy Marymount @ Gonzaga—-I put these two games together, because their could be a potential fade on both teams. The reason being is that Gonzaga and St Mary’s play each other on Saturday. No body else in the conference has a realistic chance of beating the Zags or the Gaels. Last year, Portland covered both games against the Gaels before Saint Mary’s played Gonzaga. Now, Gonzaga has beaten Marymount by an average of 25 points the last 10 meetings, going 7-3 ATS. I am high on this Gonzaga team and have them making a run in the Tourney, BUT again, there could be value on Marymount as an underdog in the 20 point range as the Lions have been much more competitive this year with 5 seniors in the rotation. I have a stronger lean on Marymount here opposed to Portland. Both games are clear look ahead spots for Gonzaga and St. Mary’s. Sunday was a rare down day for Brandon, but he still maintains a 15-8 run his L23 plays overall. He is documented 5-0 the last 2 years in Football Championship Games and has a 10* Winner Monday Night in the Alabama/ Clemson game. Brandon is also 15-5 the last 2 years in the NFL Playoffs. He went 1-1 last weekend with the Texans and a loss with the Giants. He will be looking to capitalize this coming weekend in the 2nd round of the NFL Playoffs. Check out Brandon’s home page throughout the day for his Top Rated Plays.